Chaos Wins! : Warhammer Fantasy Battles: We issue errata too. 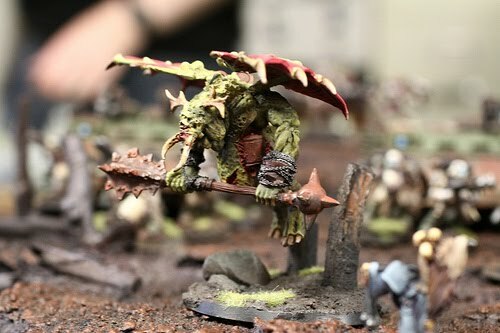 Games Workshop has decided that rules clarity and coherency helps make their game more fun to play. Perhaps they realize this also helps sell their products. I present the recently released Warhammer Fantasy Errata and FAQ document. Pretty impressive GW. This combined with the various codex FAQ's that accompanied the release of WHFB 8th edition makes it appear that you actually hire and pay wages to game developers instead of just making models and then stuffing in some sloppy rules as an after-thought. Big boy game companies have been doing this kind of thing for years now. Welcome to the fray Games-Workshop. 0 Response to "Warhammer Fantasy Battles: We issue errata too."